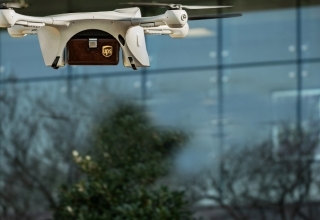 Parrot is an emerging name in the drone industry that manufactures quality unmanned aerial vehicles (UAVs) and sells them for a very affordable price. Their collection is extensive too. From professional drones that shoot 4K-resolution videos to racing drones that offer first-person-view (FPV) experience, they got it all! 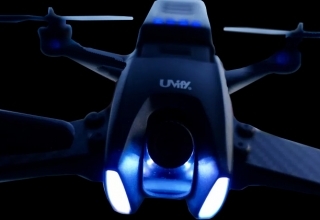 One of the most recent addition to their fleet is the Mambo FPV, the super-fast and first-ever FPV drone of the company. 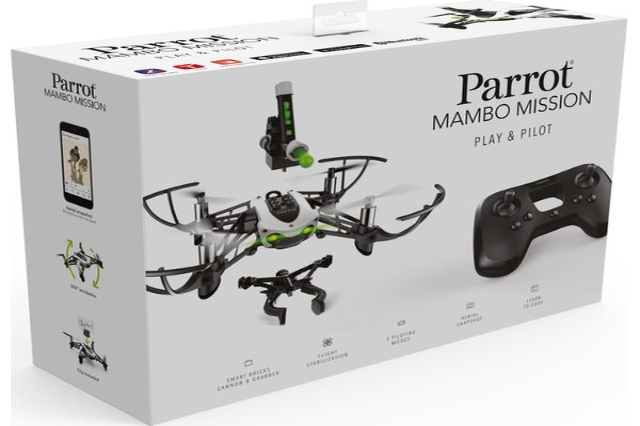 Parrot takes the expensive cost out of learning to fly a drone with Mambo FPV. 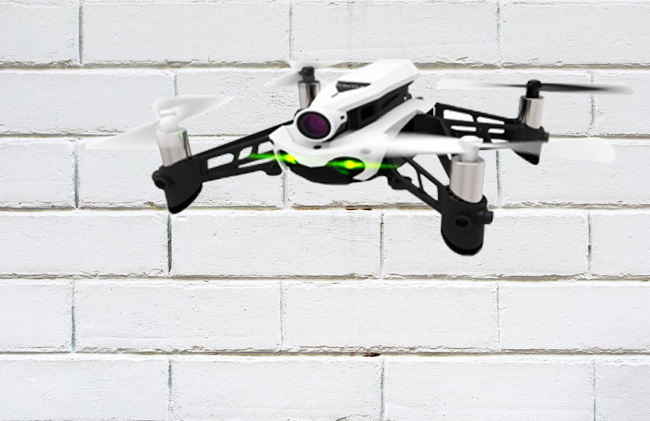 For a $179.99 price tag, this drone is the perfect fit for newbie pilots, making it one the best drone models you should buy right now! The affordable price isn’t the only good thing about it. This drone is feature-packed, and it comes with additional accessories for a more worthwhile drone-racing experience. 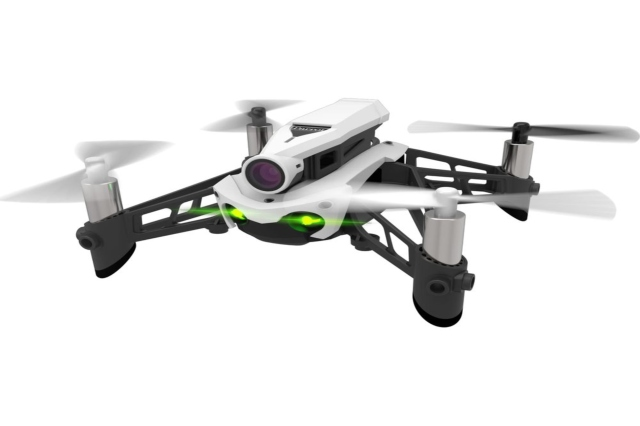 The $179.99 miniature drone comes with a battery, USB cable, and a user manual. It also comes with a detachable FPV camera and a flypad controller. Besides that, the package includes a Parrot Cockpitglasses 2, which works as a virtual reality goggles that show a live feed from the camera. It is also collapsible, making it easily transportable. You can also wear it over a prescription glass. Mambo FPV is seriously tiny. Its all-plastic body and rotor blades only weigh 63 grams, which makes the drone seemingly overpriced for its toy-like and fragile design. 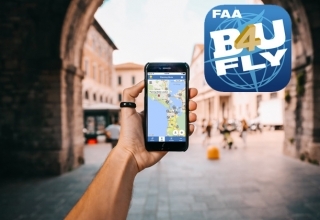 However, the extra accessories that boost its flight quality compensate for its price. 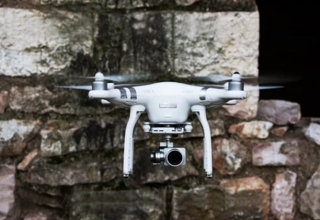 It is operable within 100-meter Bluetooth range with the use of the drone’s remote controller. 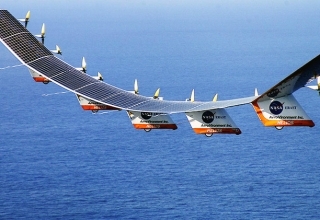 Also, it has an estimated flight time of 10 minutes and a charging time of 30 minutes. Extra batteries can also be purchased separately to extend flight time. The camera has a maximum view angle of 120 degrees that can record 720p videos with a frame rate of 30 fps (frames per second). Stabilization of the camera can also be adjusted through the app FreeFlight Mini, which is downloadable by both Android and iOS users. Mambo FPV lets you master drone racing with its easy-to-use flight modes: Easy, Drift, and Racing. Easy keeps Mambo in the air even if you let go of the remote control. You can then shift to Drift, which adjusts the software stabilizers to easily maneuver the drone during stiff turns. Once you get the hang of it, you can start using the Racing mode, which disables all the stabilizers and gives you full autonomy of the drone. Parrot has also created a designated hashtag for Mambo FPV racers called #MamboRacingClub. Through this, you can be connected to a group of Mambo pilots who organize FPV races and upload photos and videos of their flight. You can also learn some tips and tricks from them! If you haven’t figured out whether or not Mambo FPV suits your needs, Parrot also has the Anafi drone that’s worth its price. Hubsan X4, Syma X5C, and MJX BUGS 2W, including other beginner drones, are great choices too. 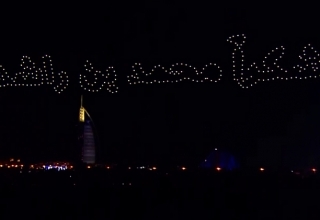 Just be sure to start with relatively cheap drones that boast cutting-edge technology.